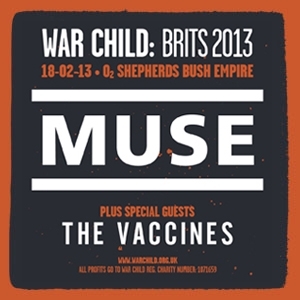 We're pleased to announce that The Vaccines will be joining Muse for their War Child BRITs show at Shepherd's Bush Empire on Monday 18th February. For more info on the band, check out their website here: www.thevaccines.co.uk. 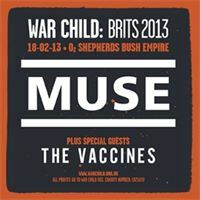 Plus don't forget that Muse's performance will be streamed live on YouTube HERE from 21:30 on Monday night.